In Tune's specially curated playlist: an eclectic mix of music, featuring transcendental jazz from Alice Coltrane and a lush Romantic piano trio from Amy Beach. Tonight's specially curated playlist begins at a Parisian soirée, where the 'darlings' of fashionable society preen and parade in the opening to Poulenc's ballet 'Les Biches'. The mood darkens with a turbulent movement from Amy Beach's Piano Trio in A minor, reminiscent of Rachmaninov, followed by Alice Coltrane's spiritual journey through experimental jazz and Indian traditions, both musical and mystical. Dvořák's melancholic 'dumka' (thought) brings a Slavonic flavour, as does Haydn's 'Bird' Quartet, which has a boisterous final movement derived from a Slavonic folk dance. 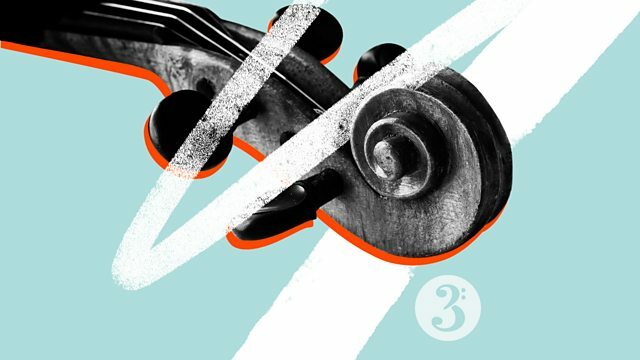 A moment of calm comes from Tallis's exquisite Renaissance polyphony, and the mixtape ends with Alison Balsom and Guy Barker's languorous, luxurious arrangement of Satie. Orchestra: BBC National Orchestra of Wales. Conductor: Thierry Fischer. Performer: Alice Coltrane. Performer: Rashied Ali. Performer: Tulsi. Performer: Alice Coltrane. Singer: Cecil McBee. Orchestra: Berlin Philharmonic Orchestra. Conductor: Sir Simon Rattle. Choir: Alamire. Director: David Skinner. Tallis & Byrd: Cantiones Sacrae 1575: Alamire, David Skinner. Performer: Alison Balsom. Music Arranger: Alison Balsom. Music Arranger: Guy Barker. Orchestra: Guy Barker Orchestra. Conductor: Guy Barker.